Dragon Door: When did you first become interested in fitness? Thomas Phillips: I've been an athlete since I was eight years old. So fitness and competition have always been a huge part of my life. I still compete in natural bodybuilding, power lifting, and jujitsu. Dragon Door: How did you decide to take the Body for Life challenge? 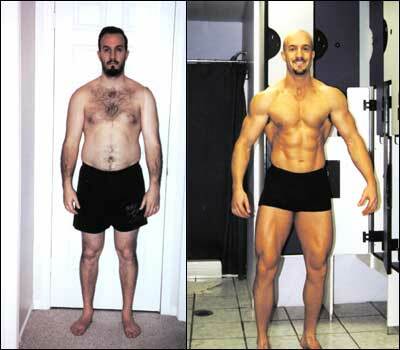 Thomas Phillips: I did the very first Body for Life challenge back in 1997, when Bill Phillips gave away a Lamborghini. I was only about 20 years old at the time and already in shape, but I made some specific goals and did well. I had a son at a young age; he was born when I was 21. So I had to finish school quickly while working at a full-time job. I had to put my fitness life aside in order to work enough to make ends meet. I literally couldn’t even afford a gym membership. Soon, I began to gain weight at an average of 1.5 to 2lbs a month. Before, I'd always weighed about 165-170lbs, but a year and a half later, I weighed 200 pounds and felt every single pound of it—I was very unhappy with myself. When I saw what happened to my body, I decided to do whatever it took to not look or feel this way anymore. My wife and I budgeted some money for a gym membership and I started waking up at 4:45 AM for my workouts—I made it happen. I ended up winning the Body For Life competition and used the prize money to open my gym, Fit for Life PTS, and never looked back. We've now been open for 10 years and are in our third location. Dragon Door: How did you originally get involved with kettlebells and the RKC? Thomas Phillips: I took my first RKC workshop in 2004, but I’d been in the kettlebell community for at least eight or nine years. I make it my business to know what’s going on with everything in the fitness industry and am always willing to learn something new. At my first RKC workshop I was blown away by the system and absolutely hooked. Since then, I have either taken or assisted at an RKC-related event at least 15 times. I love it. It’s a great community and I feel privileged to be a part of it. Dragon Door: And you're are also a Beast Tamer, when did that happen, and how did you train for the challenge? Thomas Phillips: The summer of 2005, and I didn't alter my training other than adding a few things. During the last four weeks or six weeks leading into the challenge, I followed a very specific template. I wrote an article about it: "So You Wanna Press the Beast?" Most of the template was for my own specific needs. But the article has some very important general tips that can help anyone. Dragon Door: Can you tell me about the transformation program you've created? Thomas Phillips: The Ultimate Transformation Challenge is the culmination of knowledge and experience from my entire fitness life. The success stories from this challenge rival anything out there—and we did it right here in Marlboro, New Jersey. The before and after photos and stories are absolutely staggering. There’s a lot of philosophy in the program because most of what I do in my teaching career involves dealing with behaviors. I have a Masters in education, and teach special needs and behaviorally challenged students. I began teaching in 1999, about four or five years prior to opening the gym. So I know that anybody can tell a client what to eat, but what’s the problem? They don’t do it. Over the course of five 90 minute seminars and five manuals, I methodically teach people how and why to change their lifestyles, plus what's at stake. We also have newsletters, a blogging system, audio cds, exercise seminars, and participants can contact me directly with questions. The UTC is my heart and soul, people say it’s Thomas Phillips in a box. It’s everything I’ve learned for success in physique and strength development, and also health and wellness. Dragon Door: The idea of behavioral change makes a lot of sense. Thomas Phillips: The entire UTC is a strategy based system for behavior, eating, and lifting. 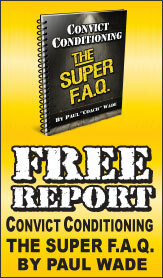 We cover over 80 different strategies, and people figure out really what works best for them. The behavioral component is absolutely critical to success. Often, the concepts I share are very outside-the-box. The biggest part of being successful is learning to think differently than other people. If you want to be like other people, you’ll be in debt, fat, and miserable—because that’s the average person right now. I tell it like it is, and have the information to back it up. I think people appreciate my straightforward approach. Dragon Door: What's your advice for someone considering your program? Thomas Phillips: Be ready to change. The program is demanding, and isn’t for everybody. The standards are high, and I actually try to talk people out of doing it! When they call me, I list the things that they'll be asked to do for eight weeks. They might not be ready to step up to the challenge or to change their behavior. Most people immediately want to tell me what they can’t do. They'll say, "I’m thinking about signing up for this program but I just need you to know..." I just stop them right there and tell them, "I have two kids. I work 80 hours a week. I've owned my own business for the past 10 years. I still teach school, and compete in three different sports. If you want to give me excuses about why you can’t do what I have done in my life for the past decade, that’s up to you but go ahead and speak." They get quiet because they realize I actually walk my talk. People want to know what I’m doing because its worked for me and for others. They soon realize it’s simply a matter of prioritizing their lives differently, thinking a little bit differently, and that their success is completely and totally in their hands. The ideas we teach are easy, sometimes it's just a switch from X to Y. Little things over the course of a lifetime can add years onto our lives. Certain habits can severely effect our energy levels and health in general. As soon as they make a couple easy switches, they say, "Wow, I never thought I would feel this great." Soon they start to lose the weight, but more importantly they feel better. Dragon Door: What's one of your favorite competitions, and have you used RKC style kettlebell training to prepare? Thomas Phillips: My favorite is the Tactical Strength Challenge. It has three different events: three attempts at a max deadlift, maximum reps of strict tactical pull ups, and as many kettlebell snatches with a 24kg kettlebell as possible in five minutes. I was one of just five people who did the very first Tactical Strength Challenge, now the program has grown to hundreds of participants. I've been less involved in the last couple years because I’ve had so many other projects. But from 2005 to 2009, I came in first place seven times, and in second place once. I've competed in the elite division at least twice; both times finishing or tying for first. In the open division, I've finished first at least four or five times. The competition is very interesting because it measures three different types of strength: one rep max strength (deadlift), relative strength (pull ups), and core strength (kettlebell snatches). I think it’s outstanding, and I want to bring it to the RKC community. The RKC is one of the best systems out there and there’s always something to learn. Many people who've stayed in the community are people that I definitely know that I can learn from, guys like Max Shank for example. These are people that I am looking forward to presenting and working with. Dragon Door: You also have a lot of experience with bodyweight training, what's your favorite bodyweight or calisthenics exercise? Thomas Phillips: I do a lot of pull-ups, push-up variations, and handstand push-ups. It’s hard to say because I do so much even though I'm competing in jujitsu now, and there’s a lot we do off the ground that’s a little more integrated. Overall, pull-ups and their variations are huge in my training. Dragon Door: How do you program your training to support all your different areas of interest and competition? Thomas Phillips: The only reason I can succeed in so many different areas is by making sure my eating, recovery, and sleep are optimal. Over time, I found a way that works specifically for me. I’ve always been a "jack of all trades, master of none", but happen to do well in competition. Dragon Door: You have an impressive list of activities on top of teaching school and running a gym. In your own case as well as the UTC, are theory and strategy more important than a specific template? Thomas Phillips: That’s right, but it's been a function of trial and error. I can admit when I’ve made mistakes, or when something hasn't worked. Often, I have to step back and adjust my strategy—and I do the same thing with the UTC. Each time I do the UTC, I change the manual because I've learned something new. We print new manuals every single time, because if I’m not evolving, somebody else is. Dragon Door: What's one crucial change you'd recommend to someone beginning a transformation challenge? Thomas Phillips: Attitude, and how they're thinking. Most people see themselves as a victim, and no matter what they do, they think they it won't work. I feel like I can influence these people the most. But, they must be ready and want to be influenced so they'll listen to what I’m saying. The people who connect realize that what I’m saying is absolutely true. Dragon Door: How many times have you run the program, and what specific results have you seen? Thomas Phillips: We're running the program for the 13th time on June 20th. In all seriousness, there’s six or seven transformations that we’ve had that would blow mine away in the Body For Life Contest that I won. Some people have participated in more than one UTC too. One guy lost over 100 pounds, going from 275 to a shredded and lean 174 pounds. 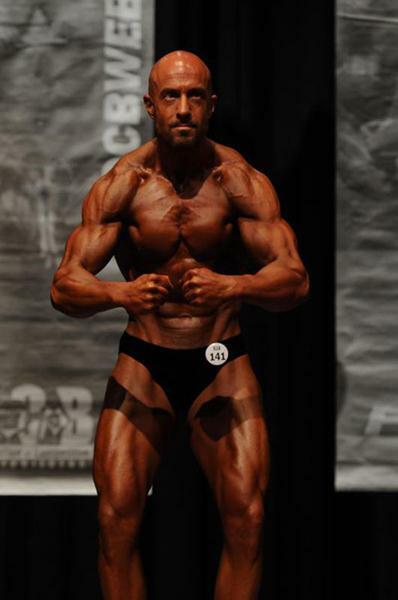 Another went from 260 into the mid-170s then competed and placed in a bodybuilding competition at 50 years old. Some of the transformations are absolutely insane, and we've featured them in the UTC manual for inspiration. Most of the big successes are the moms and dads in their 40s and 50s—usually the same people who complain the most about not being able to change! Dragon Door: What's next for you and the UTC? Thomas Phillips: We just presented a new kids program to the parents at my gym, and they are extremely excited. I've been working hard on it for the past 18 months and finally have the manual and everything done. We're going to roll out the program for kids age 12-18 at the end of February. It's for middle school and high school age students, who I'm used to dealing with at the school where I teach. The parents are very excited because it’s designed to teach kids to think outside-the-box and to empower them in a different way. I like to build things, make things, and help people feel inspired. That's what I'm all about.